Riverside CD release shows in New York! 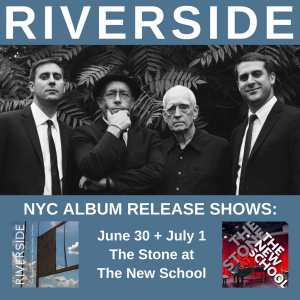 Riverside celebrates the release of their second record The New National Anthem with two album release shows at the Stone at the New School on June 30 and July 1. Dave Douglas, Chet Doxas, Steve Swallow and Jim Doxas will perform perform music from the new album celebrating the pianist Carla Bley. There are no advance ticket sales, all admissions are cash-only at the door. 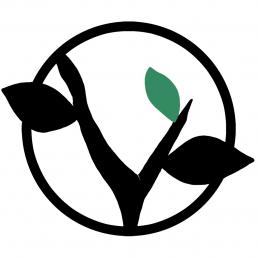 Admission is free for New School students, limited to whatever seats are available after paying guests are seated. CDs will be available for sale! See you there! Pick up the new album online at Bandcamp and iTunes.